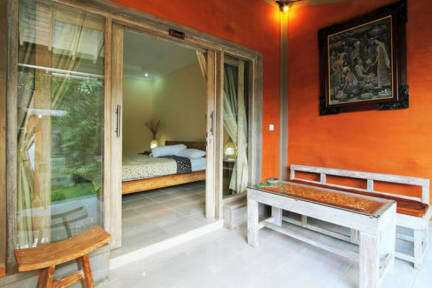 All rooms feature stunning Balinese artworks, fridge, television, desk, mirror, wardrobe, reading lamps, private patio with table and seating and beautiful outdoor bathroom. One room has two king-single beds and kitchen, the other rooms all feature king size beds. Enjoy delicious Balinese breakfast of black rice pudding with banana, fresh tropical fruits, banana pancakes, Balinese rice cakes. 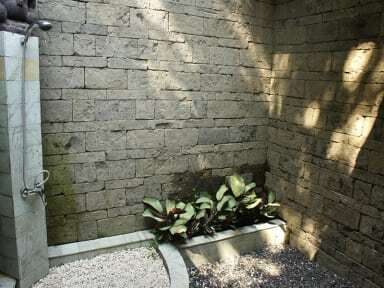 We can provide transport for tours around Ubud and further afar. Guests may use one of the vans available for hire or to organize a guided tour.